Bariloche (Bah-ree-law-cheh) is a town situated on the foothills of the Patagonia mountains. It is surrounded by lakes (Nahuel Huapi, Gutiérrez Lake, Moreno Lake and Mascardi Lake) and mountains (Tronador, Cerro Catedral, Cerro López). Not surprisingly, the area is called Argentina’s lake region. The area is famous for skiing but also known for sight-seeing, water sports, trekking and climbing. It is known as the "American Switzerland" and is one of the most important tourist resorts of Argentina. 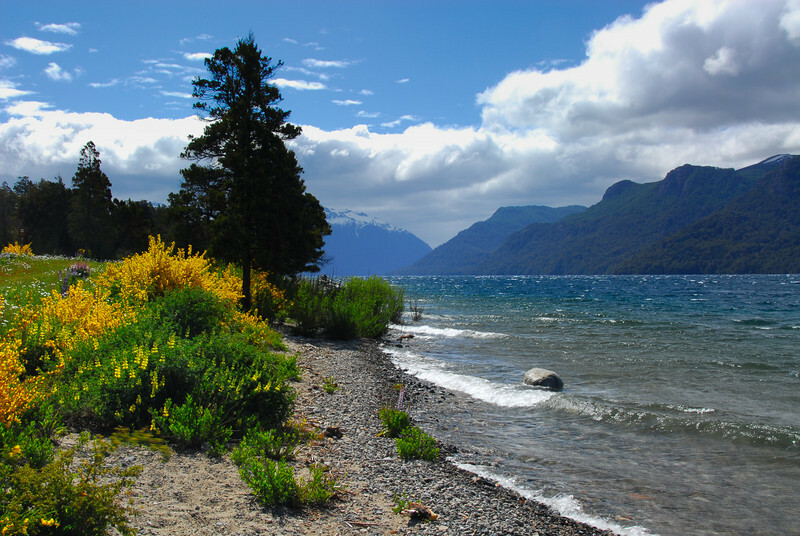 Bariloche is near the Nahuel Huapi National Park, which is the oldest national park in Argentina. The park is famous for its rich wildlife and it covers a wide variety of plants and animals, due to altitudes ranging from 2000 to 9,000 feet and precipitation ranging from rain forests on the western slopes to desert steppes on the eastern side. The area is simply the most beautiful and amazing mountain area I have yet experienced.